What are the biggest problems Life Coaches and NLP practitioners experience? Our brain does not remember all learnt information. The vastness of knowledge is just too much. What if you had an external data file that you could access when needed and extract the information you required? Would that be awesome? Keeping up with the latest developments is impossible if you are secluded and on your own. The coaching industry is progressing and developing at a rapid rate. Unless you keep up with the latest developments you will become “old school”. 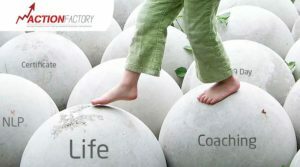 It is crucial for any Life Coach and NLP practitioner to stay connected, stay updated and stay in touch. We came up with the solution. It is as simple as a membership platform that offers a vast amount of benefits. What will you receive and have access to as a member? Monthly updates to the course. Chat forum for coaches and trainers. You will have access to your own profile page where you can post articles, blogs and information about you. Including pictures, logos and contact details. Exposure to thousands of monthly visitors to our websites. Ability to become a re-seller of our training and earn 30% commission. Listing on our international website. Guides for short coaching workshops you can present to the public. For more details please scroll down. Only 2 options are available. Option 1: You are previously certified by Action Factory or Mental Combat. ONLY AVAILABLE TO PREVIOUS OR EXISTING STUDENTS! 1. Your name and surname. 2. Month and date you completed your training. 4. Your email and contact number. click on this button to see the cost and/or complete payment. 6. Once you completed the payment go to www.actionfactory.teachable.com and sign up. Within 48 hours you will receive your confirmation email that you have been given access to the online course. Then enjoy and learn. 7. The last step will be a detailed email from Nicole on how to register on the coach register. Nicole will send you her number to assist you in the process should you have any technical struggles. Can I cancel it later? Yes, it is as easy as sending me an email. On cancellation you will however lose all membership privileges and access. Cancellation will have a default period of 30 days. 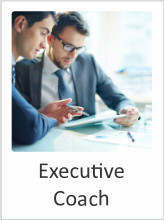 Only if you were certified as a Life Coach, NLP Practitioner or Executive Coach by other training companies. You will receive all the benefits of an Action Factory member. Please send us an email to accounts@actionfactory.co.za with a copy of your certification. Include your name, surname, email address and contact number. We will review and reply within 2 working days. Click on the button below to complete the payment process. 1. 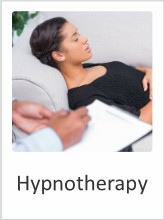 Our online training course. a. 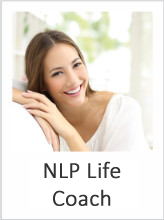 The online course is a full Life Coach Certification Course that includes the NLP techniques we train in our classroom certification courses. c. You will be able to revisit all the training at your own pace, over and over as it suits you. d. We have already completed several interesting end empowering lessons to inspire you. e. All techniques will be taught step by step for clear understanding. f. Final date of completion of the “main” course is end September, but you can join and have access as it develops. g. The online course is based on our new 9-day course that was launched in August 2018 and will include all the teachings from our previous 9-day course and the new 9-day course. In fact, the completed course will be the equivalent to 18 days of classroom training. 2. Monthly updates to the course. a. Updates will be a combination of new techniques that are develop and alterations of older techniques. a. This is an open forum where we as coaches can ask questions and get answers and input from other coaches and trainers. c. We will post updates, news and webinar dates on the forum to ensure you are always updated. a. As you are aware, our industry is developing at a rapid pace. We will add new techniques and coaching processes for you to access. 5. Updates on industry developments. a. Our website attracts 50 to over 200 new visitors each day. Our SEO ranking gives us exposure and first page listings on most related key words. This type of exposure will cost thousands and years to achieve. b. Many of the people who visit our websites are people searching for a coach or NLP practitioner. You will now have exposure to them. d. You will be able to blog and post articles on the platform. f. Action Factory is well known as the leader in our industry. Listing on our website adds credibility and value. 7. You will have access to your own profile page where you can post articles, blogs and information about you. Including pictures, logos and contact details. 8. Exposure to thousands of monthly visitors to our websites. a. Action Factory has clients in 87 countries around the world and we are growing. You can now benefit from footprint. a. Our forum is also a support platform. Ask questions and receive expert and pier feedback. a. All our member may become resellers for all our online courses. b. On request we will add you as a reseller. c. You will have your own website links to our online courses that you may post on your social networks. Any visitor that purchases our online products will be automatically linked to your profile on the Teachable platform and payment will automatically be allocated to you. d. Teachable automatically distributes pay-outs to owners, authors, and affiliates. That is all available now! b. The focus will be live training on previous and new Coaching and NLP skills and techniques. c. We will be monitoring the forums to choose the topics for the live webinars. 2. Training in Online Coaching. 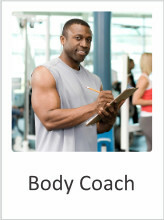 a. Online coaching is developing very fast worldwide. b. We have already started to build a course to teach you the steps required to tap into this lucrative and satisfying market. 3. Listing on our international website. a. We have procured several international URL listings. b. As we complete and add these websites we will link the coaching register to all. a. 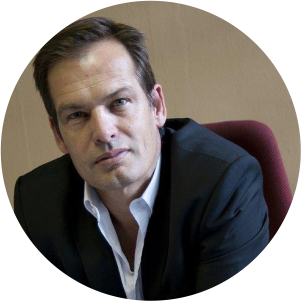 One of the best ways to gain coaching clients is by running short informative workshops. b. Every 2 months you will receive a framework and guide for a workshop you can present to your potential clients.